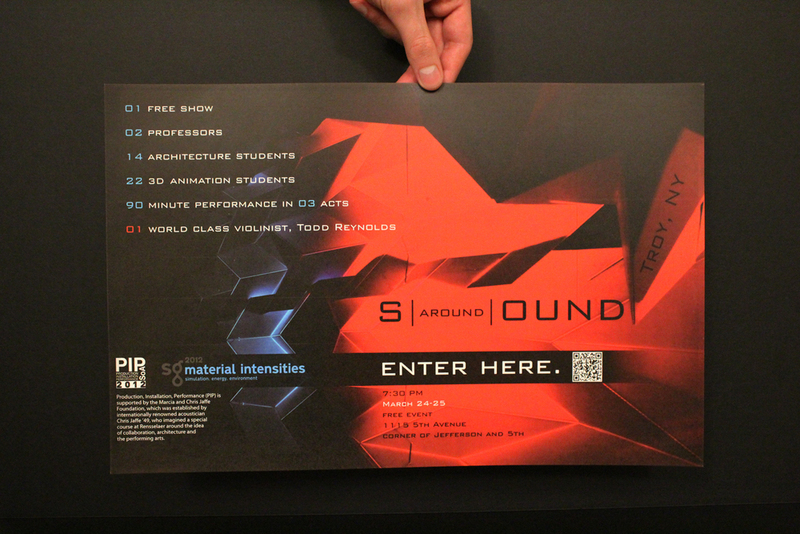 RPI's School of Architecture's Performance Installation Project (PIP) class dreamt up a tactile world of interesting geometries, sights, and sounds (from composer/violinist Todd Reynolds) with their interactive performance installation, S|around|OUND. I was tasked to encompass everything the show had to offer with a marketing campaign. I devised a three-part strategy to raise awareness on RPI's campus and the Troy community. The event was seen by well over 1,000 members of the architecture community, RPI population, and local Troy residents. "Close your eyes, open your ears, extend your reach. Explore the sound and surfaces. 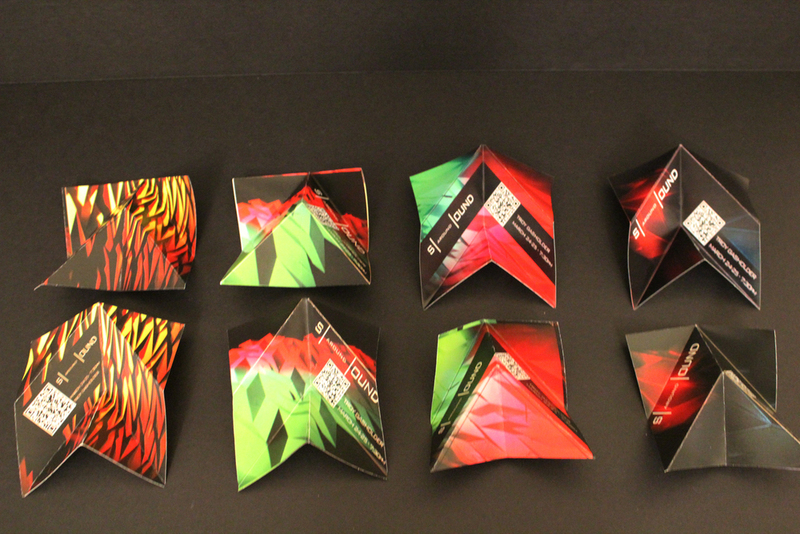 Inspired by the nuances in folded plate structures to be used in the installation, I devised a a small flyer folded in the shape of one plate module. 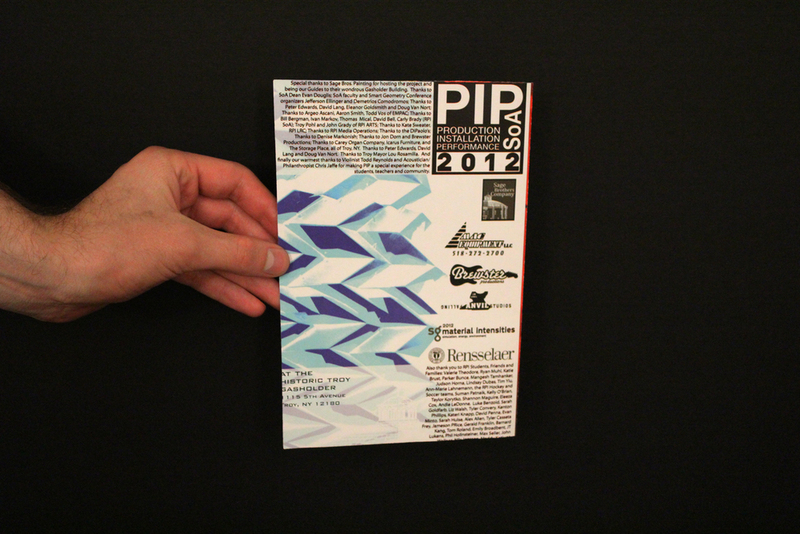 It is the most vague of all the flyers to peek interest. Tons of were scattered around the campus and community, virally spreading from person to person. 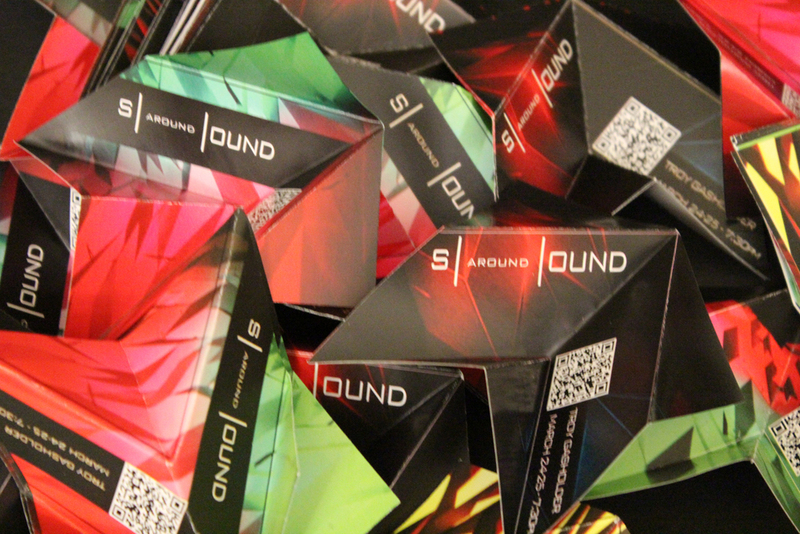 The QR code is one of four gateways in the world of S|around|OUND, linking the curious to music, history and art. Taking my inspiration of folded plates one step further, I created a simple modular graphic to overlay on my photography. Those modules could then be broken up to contain specific sponsor information. More details about the event appear (date, time, location). This stage is also the introduction of my tagline, "Enter Here." This line helps to keep the mystery alive despite the amount of information revealed, encouraging the curious to enter this abstractly mysterious world. 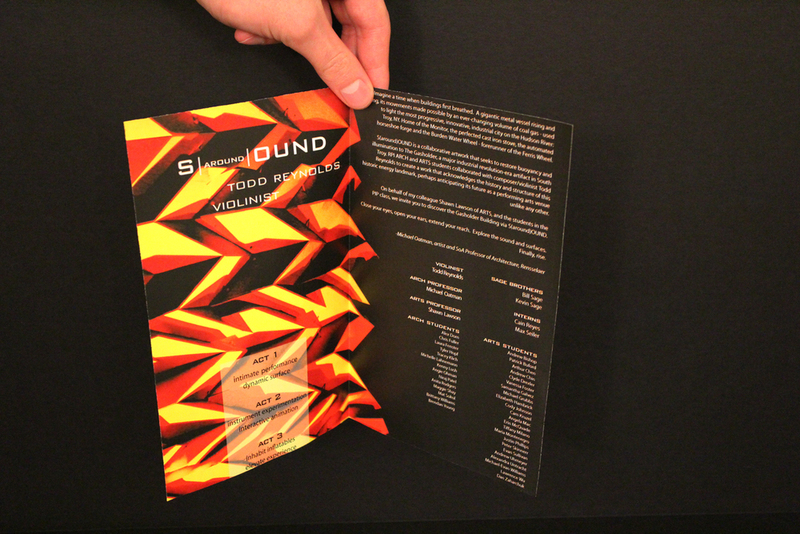 The final stage reveals everything about the installation from details about the participants to what exactly S|around|OUND is.